A must-have for every predator fisherman! The Jenzi Weighted Weedless Offset Hooks are available in 3 different options and come in a 3-pack. The Jenzi Weighted Weedless Offset Hooks are ultra sharp and improve the action of the lure on the drop. 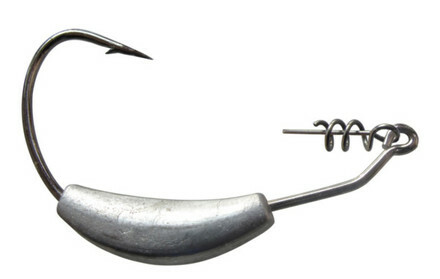 The offset hooks feature a keeper that perfectly holds the lure in place. They can be used for both lure fishing and dead bait fishing. Perfect for big predators! The lure shown in the picture is not included.